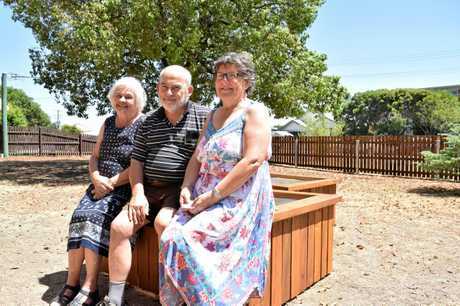 HARD work, prayer and a really big water tank have all but ensured the success of the Warwick Uniting Church's new community garden. 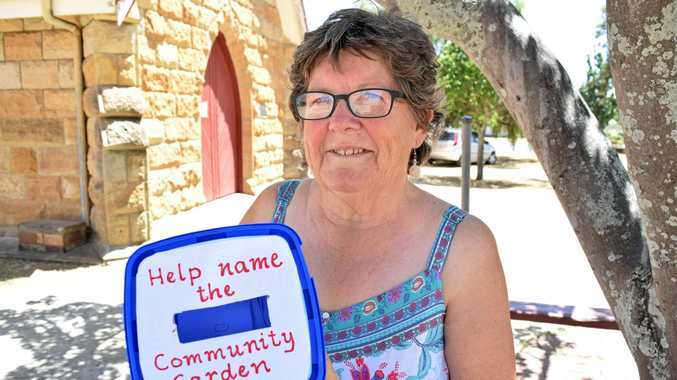 But it needs a name, and churchgoer Sue Fox is calling for suggestions. "We already have quite a few,” she said. The drive to prepare a garden came from Reverend Ansie Liebenberg, who wanted to provide a space for young people and families to come together, get their hands dirty and harvest fresh produce. Preparations started a year ago and the Grafton St complex is taking shape. Parishioner and handyman John Morris spent Christmas hanging a fence to match the church's heritage style. There are eight raised garden beds, 10 smaller beds and some upcycled bench seats ready to go in. Importantly, a swag of plants has been donated or pledged, including native edibles. 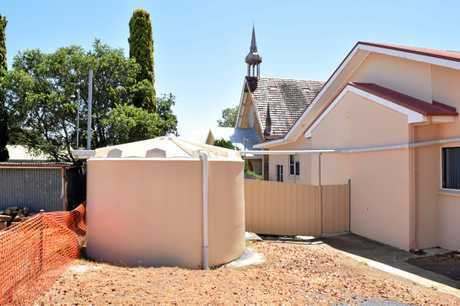 Mrs Fox applied for a grant through Redcliffe Uniting Church to build and connect a 50,000litre tank and when the congregation settles on a layout, the watering system will be ready to go. Mrs Fox hopes the garden will become a permanent feature that families can visit while at Leslie Park. "Once the beds are filled with dirt there'll be no lifting them,” Mrs Fox said. While the soil is bone dry now, the budding gardeners are confident their patch will bear fruit. The tank is already 75percent full as it draws on the church's large roof catchment and the power of prayer. 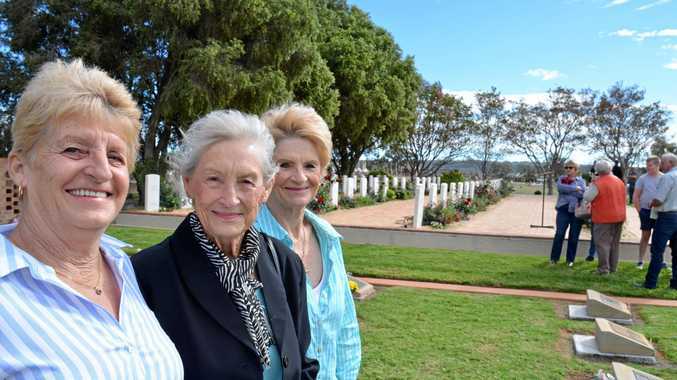 "There has not been a drought yet that has not been broken by rain,” Mrs Fox said. To volunteer or suggest a name for the new garden, drop in to the Uniting Church on Grafton St or phone 4661 1080.